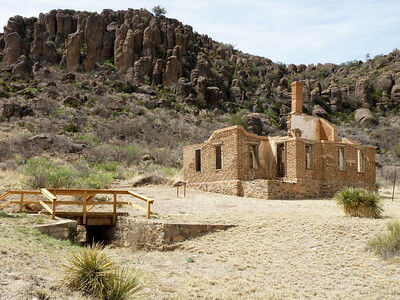 Fort Davis National Park is located to the northern edge of the town of Fort Davis,Texas. It is reached by Hi. 's 17 and 118 from the north or south and from the west on HI. 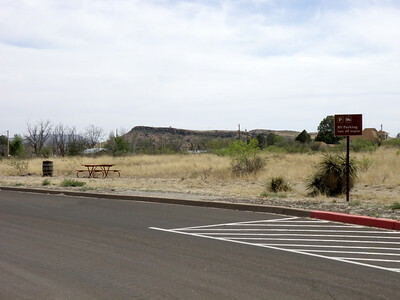 's505,166,and17.The elevation is 4,900 ft, so summer visits are comfortable.The fort became a national historical site in 1963. From left to right was_ The shared Lieutenants' quarters (furnished) Commanding Officers' quarters,(furnished) in the center of the row. toward the right was the officer's kitchen and the servant.s quarter's. 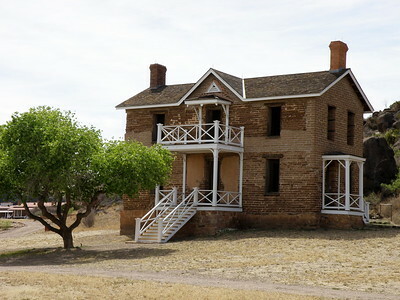 The shared lieutenant's quarters were was finished in 1882. 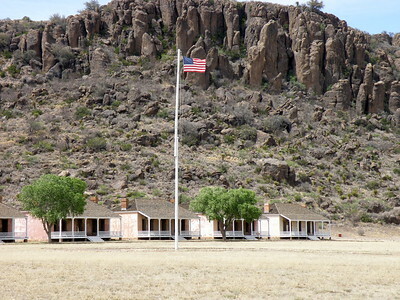 The commanding officer's quarters' was constructed by 1869 and served the post until 1891. 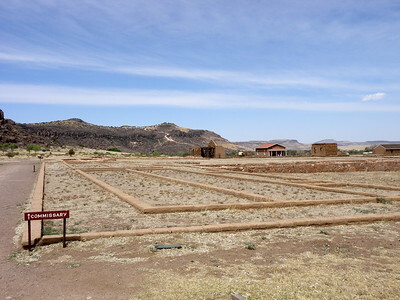 The kitchen and servant's quarter's were built separate from the main house becuase of fire dangers. The museum gives you a glimpse of the lives of the men who served here. The photo shows how their horses were equipped for duty.July of 1866 Congress acted to add to the size of the Regular Army. That created new regiments-2 cavalry and 4 infantry units and they were comprised of black men. Forever to be known as Buffalo Soldiers. 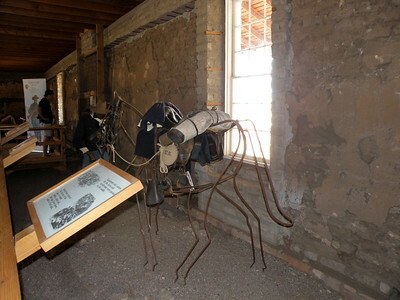 Buffalo Soldiers served at the Fort from 1867 to 1885. They had routine duties as well as pursuing the Comanches and Apaches. The commissary held the garrison food supply. Enlisted men had rations,officer and civilian workers could buy food at cost + transportation. 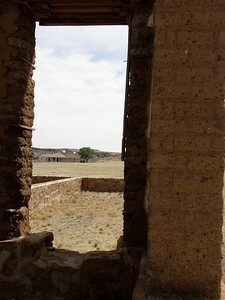 After the fort was abandoned ,many civilians lived there for several years and due to their work helped to preserve many of the buildings. 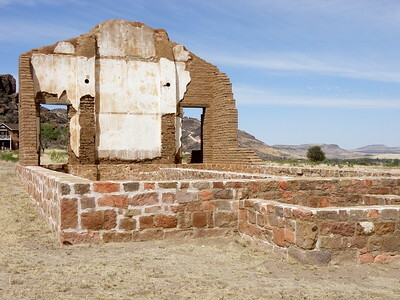 Fort Davis was a key post in the defense of west Texas,from 1854 to 1891 ,troops protected,emigrants,mail coaches and travelers on the San Antonio-El Paso Road. The Chapel at one time served over 400 soldiers. 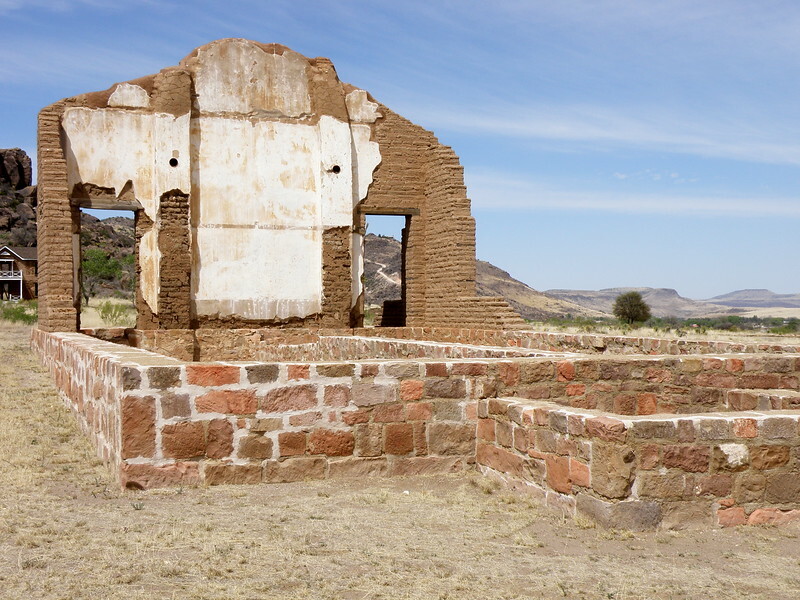 The last campaign involving Fort Davis troops occurred in 1880.Units from Fort Davis and other posts ,forced the Apaches and their leader Victorio into Mexico, there he and most of his followers were killed by the Mexican soldiers. The first story still remains. 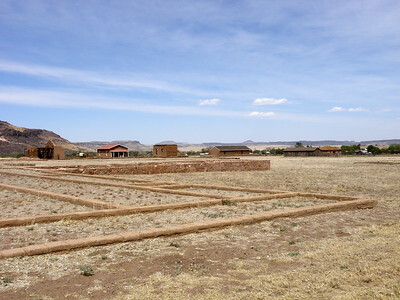 Behind Officers Row there are several foundations of structures of the first Fort Davis. 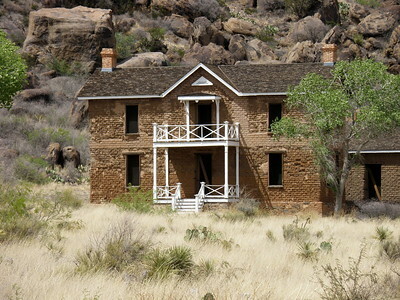 (1854-62) most were constructed of pine slabs and had thatched roofs. There are wooden signs to mark them. 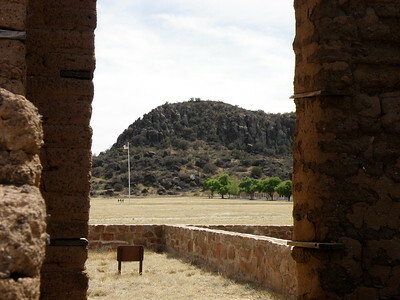 The fort was occupied by Confederate troops from spring of 1861 till summer of 1862 when the Union forces took possession. They quickly abandoned the post and it was deserted for five years. If you are an RV'er like me this is very much appreciated !! There is even a nice picnic area !